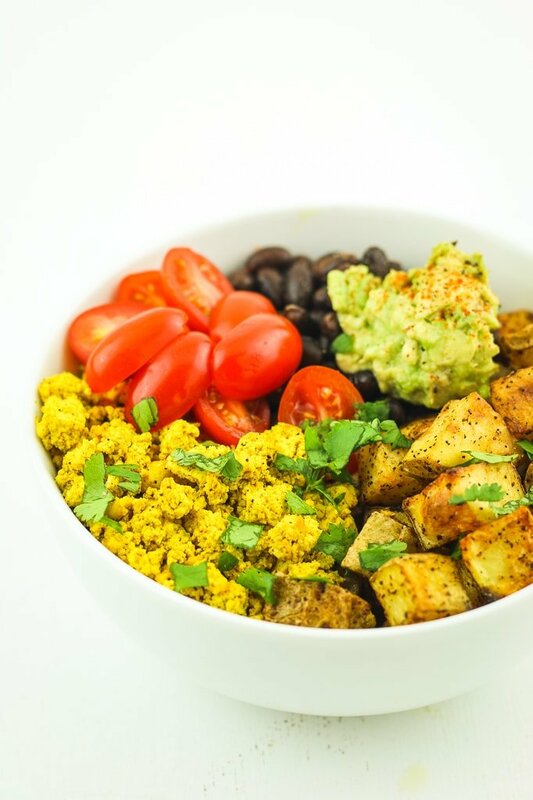 This Tofu Scramble Breakfast Bowl recipe is a hearty, nutritious vegan breakfast idea. It comes together quickly and it’s great reheated for meal prep breakfasts! 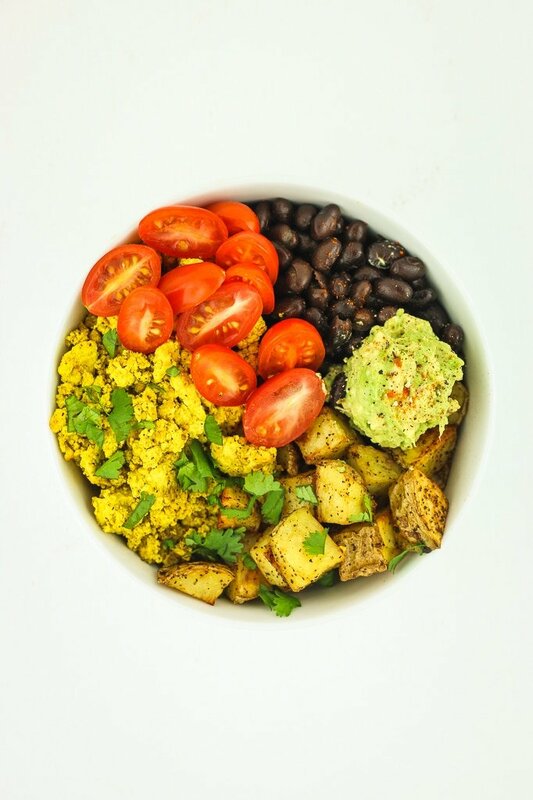 Who doesn’t love a good tofu scramble for breakfast? I sure do! I mean, how could you not? They check all the boxes of what a good savory breakfast should be! I’ve had a lot of you asking for more breakfast meal prep ideas on Instagram – specifically vegan breakfast meal prep ideas – so this is my latest contribution. 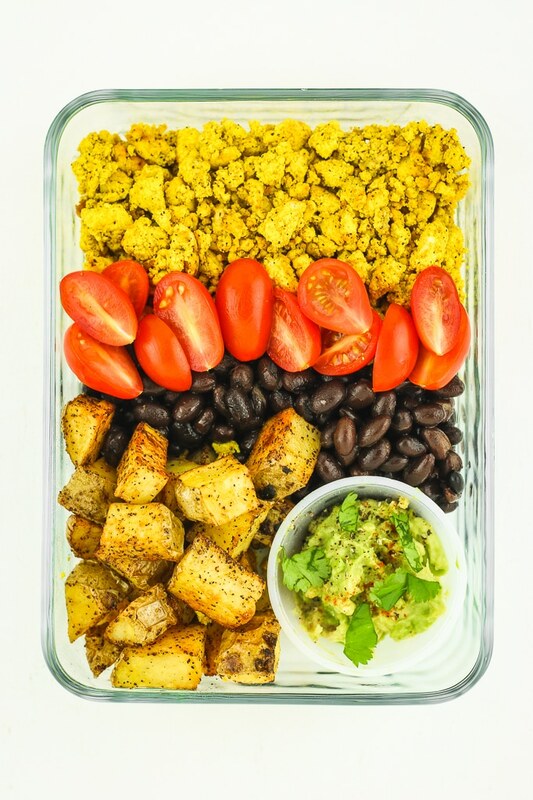 We already have one tofu scramble recipe on the blog but this one is wayyyyy different. Hello, spicy roasted potatoes! They’re incredibly easy. Just chop and season some potatoes, scramble and season some tofu, and assemble. They’re perfect for meal prep! 30 minutes of cooking and you have breakfast ready for the whole week. They’re SUPER filling. Lots of protein thanks to the tofu, plus healthy fats and carbs to keep you fueled for hours. The filling can also be piled into tortillas for prep ahead breakfast burritos. 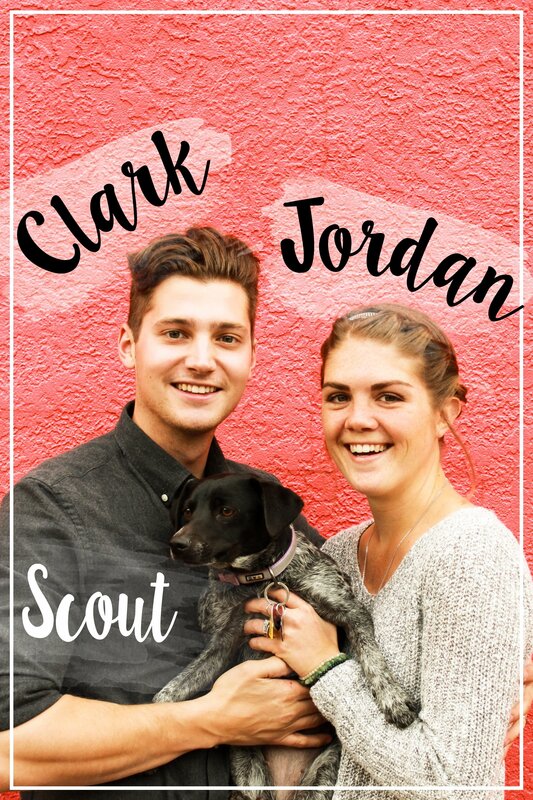 11/10 would recommend. According to your comments on other meal prep recipes and on Instagram, you guys have been killing the game. I totally get it! Meal prep makes life so much easier. When you’ve got breakfast and/or lunch taken care of for the whole week, it frees up so much time and headspace for more important things! 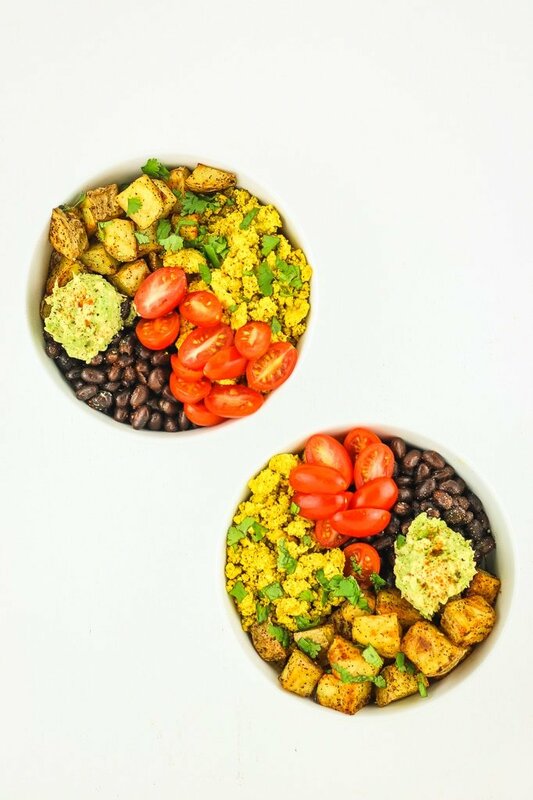 Make these Tofu Scramble Breakfast Bowls ASAP and let us know what you think! Leave a comment here or a post a picture on Instagram – we love to share your creations on our stories! Drain liquid from the tofu and press to remove all excess water. Wrap with a clean towel or paper towel and place a heavy skillet on top to drain completely. While the tofu is draining, chop your potatoes and preheat the oven to 415º. Line a large baking sheet with parchment. Spread potatoes out onto the baking sheet, drizzle with oil, add seasonings, and give everything a good toss. Bake 30 minutes, removing halfway to stir the potatoes. While the potatoes are baking, add the tofu to a large skillet and use a spatula to “chop” it until it is crumbled or “scrambled.” Add seasonings and cook over medium heat for 10 minutes, stirring occasionally. Once tofu is heated throughout, turn heat to the lowest setting while the potatoes finish cooking. Once the potatoes are done, assemble your bowls! Load up tofu, potatoes, black beans, and toppings of your choice. Enjoy immediately or store in the fridge for easy breakfasts! These can be stored in the fridge and reheated on the stovetop or in the oven. Good for 5 days in the refrigerator.